Bring home a beautiful interior upgrade courtesy of Floortech Interiors, your first source for high-end flooring in Brookfield, WI. Locals know that they can rely on us for stunning, yet sturdy flooring products that deliver the best of form and function to each home they grace. Much of our business comes from referrals made by happy customers that know our flooring specialists place their satisfaction first. Are you looking to refine or add to your home's overall atmosphere? The right flooring product can add a breath of fresh air to any room in your house. 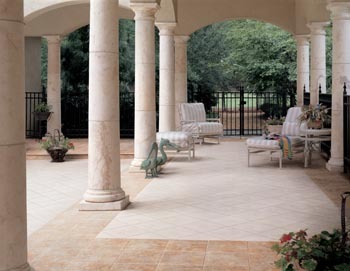 Not only does new home flooring add style and appeal to your residence, but it also adds value. Purchasing new floors for your house can instantly raise its overall worth, making it an attractive option for potential buyers should you decide to sell in the future. As flooring specialists, we pride ourselves on offering locals a trustworthy shopping experience alongside professionals that care about their needs. We're proud to be a part of your community. That's why we support Pets for Patriots, a 501(c) (3) charity whose mission is to make pet ownership possible for U.S. military veterans. When you donate through our store, 100% of your gift goes to veterans searching for companionship, as well the shelter dogs that need new homes. Are you coordinating a home renovation? Perhaps you and your family are tired of your house's current flooring situation. No matter the reason for your visit, our flooring store is happy to help you plan the details of your project. For your convenience, our products come with many warranties designed to help you and your loved ones get the most out of your purchase. Get in touch to learn more about our Ultimate Confidence Guarantee. Financing options are available now for eligible customers up to 12 months, year around. As homeowners ourselves, we understand the financial challenges that our clients face when it's time to renovate or remodel their homes. Unexpected costs can make paying for new flooring difficult. It helps to know that our flooring professionals are on your side. We're always looking for new ways to help you save. With help from our partners at Synchrony Bank, it's easy to fund the flooring project your home needs to look its best. Fill out your application online, or visit one of our specialists for an in-store consultation. A representative will reach out to discuss your project and outline your goals within the context of your finances. We're committed to helping you secure the flooring you've always wanted on your budget. Many homeowners are unsure of their flooring options. When it comes to choosing the right material, texture, and thickness, it can be difficult to find the product you want while staying within your budget. However, you don't have to compromise your finances to find the right home flooring. Our shop carries a large selection of products made by America's most preferred manufacturers. Reach out today to request your free catalog and start exploring what's possible. Our professionals are always ready to explain the benefits of each material available through our store. Busy families with children and pets, for example, may appreciate the stain-resistant properties of nylon or polyester carpeting. These options make cleaning fast and easy. For homeowners that enjoy entertaining, hardwood flooring and wool carpet can add sophistication and class to any dining room. No matter your background, we carry a flooring product designed to suit your lifestyle. If you are still unsure of your preferences, but don't have time to visit our shop, be sure to download our My Floor Style app to explore your home flooring options from the palm of your hand. This handy tool lets you download different options and view them in the context of your home. Simply take a picture of any room, crop out your current floor, and then make your selection from our list of products. It's easy to see why local homeowners prefer our flooring store when it comes to shopping for their remodeling and renovation projects. If you've been thinking of updating your home's floors, but don't know where to start, talk with our certified technicians. We offer the lowest flooring installation rates around, and we provide free in-home measurements for clients that want more insight into their budgets and options. As a longtime flooring authority, we're committed to delivering the industry’s best warranties and guarantees on all flooring services, from our installation guarantee to our patented price protection. If for any reason you don't love your new flooring, let us know within 30 days of installation. We'll replace them at no additional cost. Additionally, should you find the same flooring product for a lower price at another store within 30 days, we'll refund the difference. Contact our floor team to receive more information about our flooring products and services. We serve families living throughout Brookfield, Waterville, Waukesha, Richfield, and Grafton, Wisconsin, and the surrounding areas.